I keep wanting to blog. Time is getting the best of me right now. 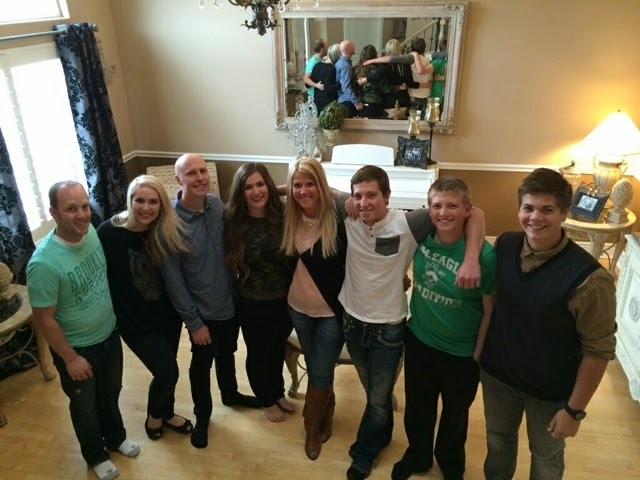 So I decided to share Gentry's blog post as a little recap of our Mother's Day. We are headed to New York City tomorrow night. Taylor and Gentry and Sean and I will be at the National Stationery Show. This is going to truly be a dream come true. I can't wait to debut my new products and my new website starting day one at the Stationery show this weekend. My mother in law is helping with my boys and Tyler. In just one treatment we can see Ty's lymph nodes go back down. It's amazing to see the reaction in a positive way so fast. Ty was feeling really good today and he mentioned he felt he could even mow the lawn. Of course, he didn't but I love how positive he is being. They are thinking he will be going into the hospital every two weeks for the ICE treatment. Then tonight they are consulting because they think his kidneys are not handling the ICE chemo regimen. So they may be changing it. I am very thankful that the doctors started the treatment so fast and we are all feeling positive and know that HOPE is real and alive with us. Ty and I had a long talk. He knows that right now it's so hard for me to leave him. Ty told me that he knew what I was thinking and feeling even though I had not expressed it. Isn't it funny how someone can know us so well. He could tell from my body language. He reminded me that this journey has been going on for 10 months now and that once again it's is going to be another long journey. He wanted me to know that he would always be very honest with me and tell me if at any time he is not doing well. I need to know that nothing is ever hidden from me and I can get home right away if I am needed. One of my closest friends is always texting me and knows how hard it is for me to ever leave his side. She reminded me how if it was me getting sick that no one would expect my husband to have given up his company, his patients and shut down his practice. She knows that my company has grown and grown and many people depend on me. My family actually depend on me more than ever. Ty has such peace of mind knowing that I am able to support our family. It has almost been a year now that I became the sole financial support for our family. I am very fortunate that I design and create and absolutely love what I do. I never see it as a job because I love it so much. Still as much as I love it... I always miss my family. Ty is the first person I call and share everything with. He really is such a big reason why I am doing what I love and do as a career. He encourages me and because of him I dream bigger and bigger. I just have faith that God does not give us more than we can handle. I will take it day by day and it will all work out. With Mother's Day being yesterday Devan and I went and spent the day with the family. 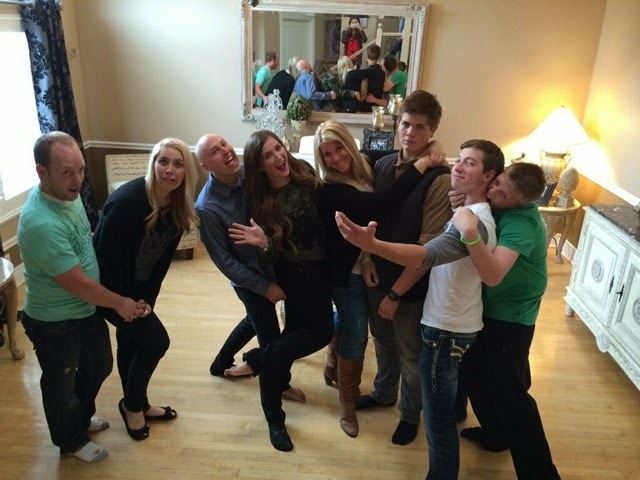 There is definitely never a dull moment when we are all together. Yesterday was also my sister Mckay's 20th birthday! 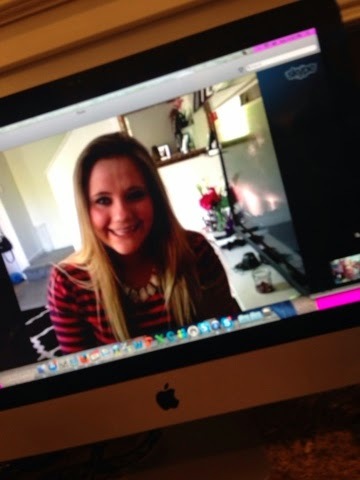 She is serving a mission for our church in Seattle Washington right now. We got to Skype with her (because it was Mother's Day) so it was extra special. We definitely miss that little nugget. 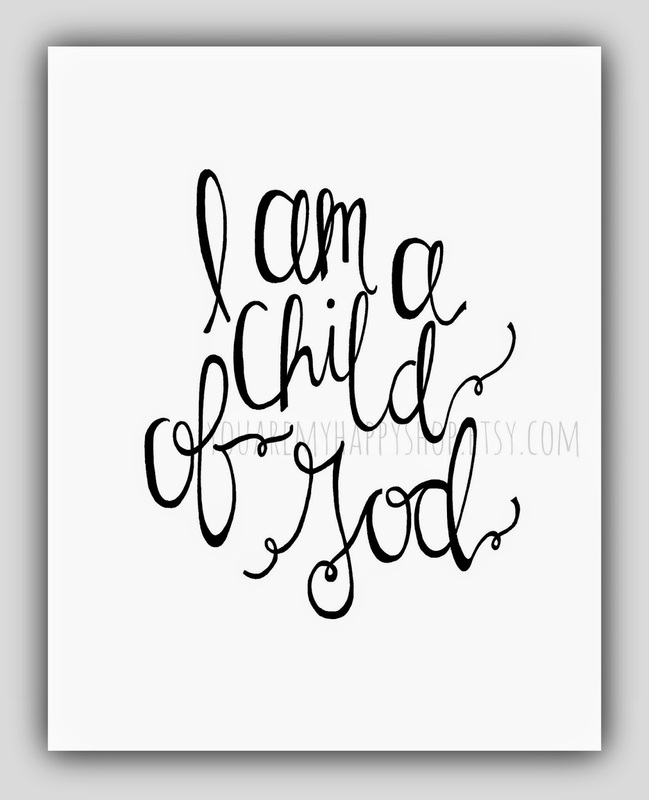 Mckay Asked for one of my "I am a Child of God" Prints so I sent her one this week. 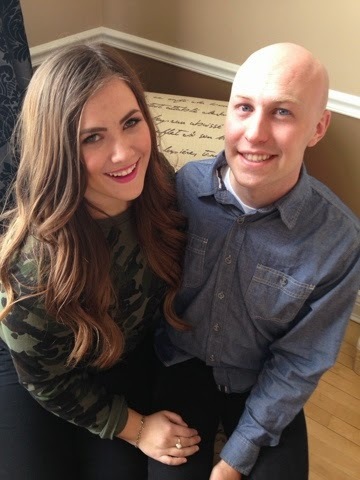 I am so happy to hear how well Ty is responding to the treatments. Continued prayers for you! And Gentry is such a sweet and so beautiful! Safe travels! Great newsa bout Ty's response to the first round of chemo..Praise and glory to our Lord. Good luck and much success in New York. Safe travels. Having someone or people (our kids) in our lives that believe in us is a wonderful thing. I am so SUPER excited to see what is coming this weekend. Have fun in NYC!!! great to see the family pics - Can't wait to see all the golden stuff from NYC.. Good Luck. All the best for New York and I am looking forward to your class in New Zealand at the end of next week.